Mothers who smoke while pregnant or breastfeeding may reduce their sons' future fertility, according to research. In the study, male offspring of mice exposed to the equivalent of a packet of cigarettes a day had reduced sperm counts and abnormalities in sperm shape and mobility. Their sperm were also less able to fertilise an egg. Lead author Professor Eileen McLaughlin from the University of Newcastle in Australia, said: 'This is the first time we have been able to prove conclusively that male baby exposure to cigarette toxins in pregnancy and early life will damage later-life fertility'. The researchers say their findings may explain an observed (although contested) rise in subfertility in men now in their thirties and forties who were exposed to cigarette toxins in the womb at a time when the damaging effects of smoking were less well-known. Previous studies have shown that smoking puts the developing fetus at higher risk for a range of complications, including growth restriction and birth defects, but the effects on male fertility were not as well established. Professor McLaughlin said: 'We now know that exposure to cigarette toxins directly affects the stem cell population in the testes, causing a permanent reduction in the population of sperm produced. We also know that oxidative stress induced by these toxins causes damage to the nuclei and mitochondria - the cell's power supply - of cells in the testes and this results in sperm with abnormal heads or tails, that are unable to swim properly or successfully bind and fuse with eggs'. In the experiment researchers placed 27 female mice into a machine designed to mimic the effects of smoking. This worked by drawing smoke into a nose-piece; the mice had their noses introduced into the nose-piece so that they inhaled smoke into their lungs. Twenty-seven control mice breathed normal air. After six weeks all mice were placed with males to produce litters. Smoke exposure continued throughout pregnancy and lactation until weaning. Researchers examined the 108 offspring regularly until adulthood, measuring DNA damage in the cells that produce sperm as well as sperm count, shape and swimming ability. Professor Sheena Lewis, Professor of Reproductive Medicine at Queen's University, Belfast, who was not involved in the study, praised it as 'well-designed and carefully executed' and explained that 'such mechanistic experiments are impossible and unethical in humans'. In the UK it is estimated that 25 percent of women continue to smoke while pregnant or breastfeeding. Dr Allan Pacey, chair of the British Fertility Society, who was not involved in the study, said that the research 'should send an important signal to couples about the dangers that smoking during pregnancy has on the future reproductive health of their infant'. 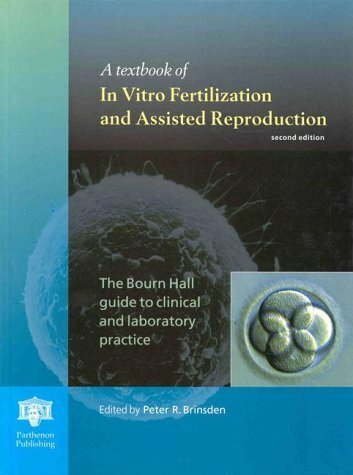 He praised the study, which is published in Human Reproduction, as 'very welcome' and 'elegantly designed'.